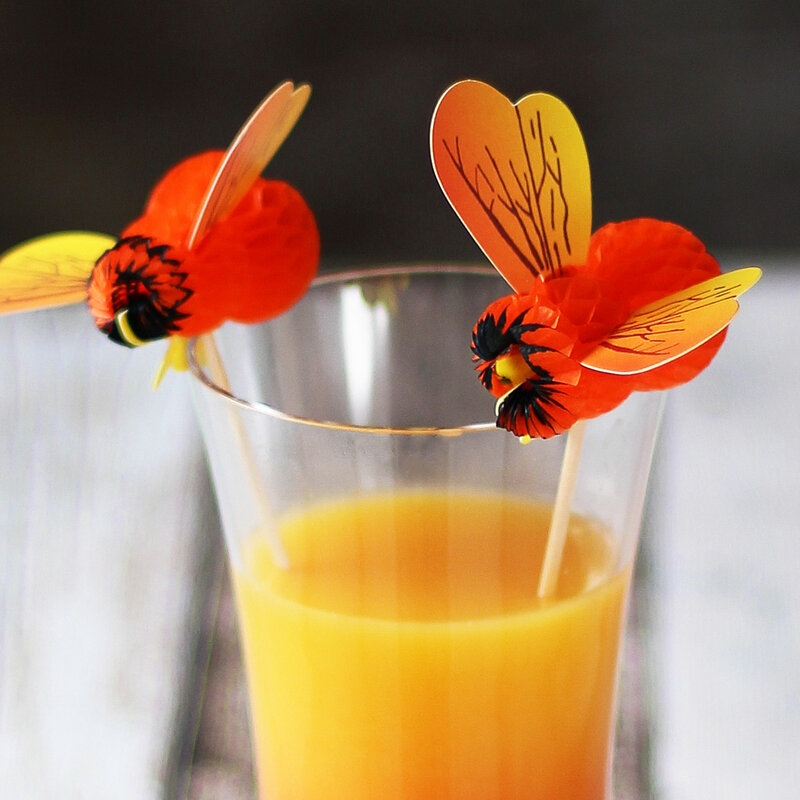 Add buzz to your drinks with the Bumblebee Cocktail Picks, perfect for adding a quirky twist to decorating food and drink. 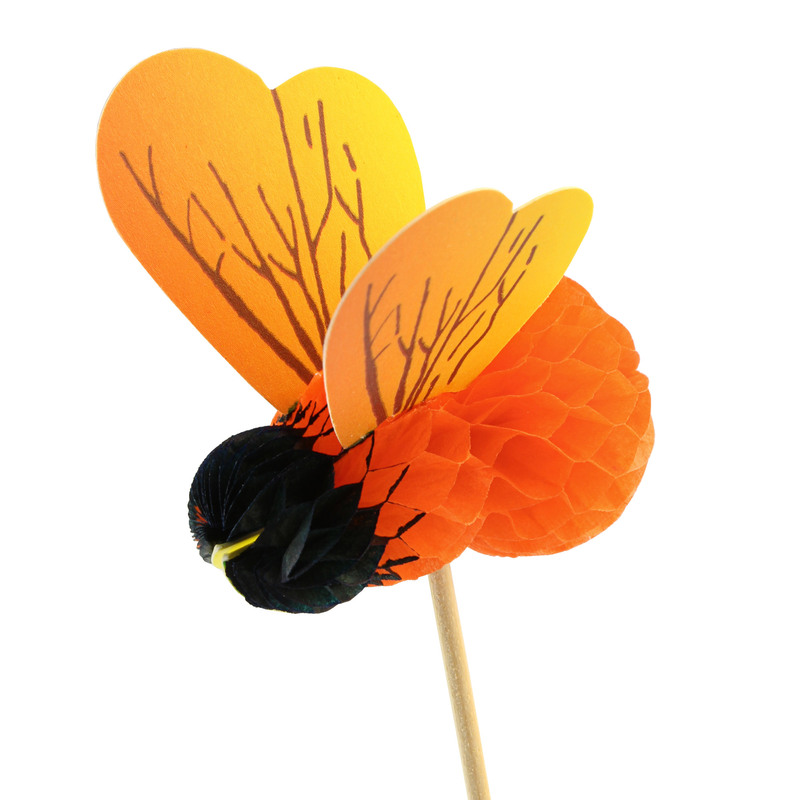 With a fold out paper Bumblebee topper, these wooden sticks are essential for enhancing sweet treats and drinks. 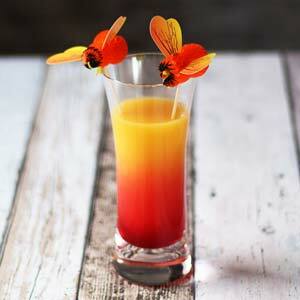 "I bought these bees as a garnish for a honey based cocktail for my Bar, ''Mocka Lounge'' 1-2 Mill Lane, and love them. 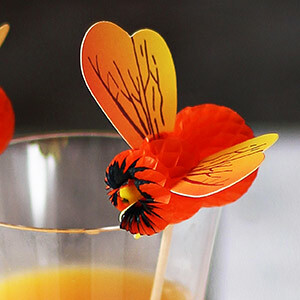 They're very cute and perfect for what I wanted, the only drawback is they dissolve fairly quickly if wet, but that can't be avoided with fold out paper decorations."